Welcome to the first Holiday Gift Guide of the 2017 shopping season! 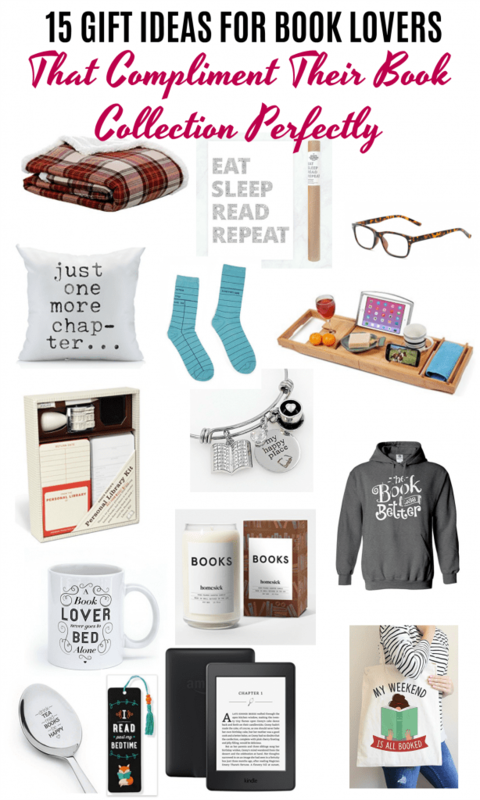 Today I’m focusing on gift ideas for book lovers because let me tell you, I found some really fun gift ideas that I can’t wait to share. I don’t know about you, but there are a lot of book lovers on my gift list every year. Our entire family of five are big-time readers and one of our most popular hangout spots is the bookstore. Every time we’re there, we find a new book or book lovers gadget we want to purchase. I hope you find some great ideas for the book lovers on your list! 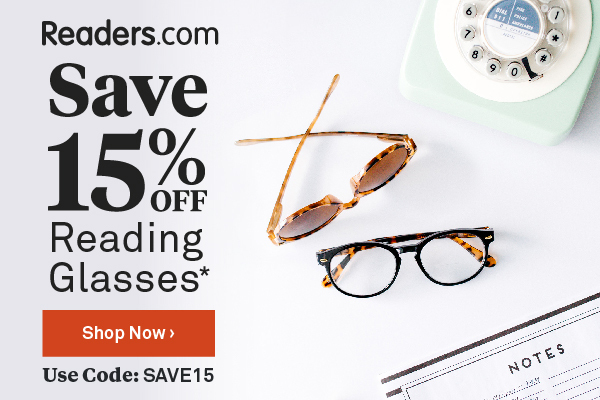 Now you can purchase just the right style for that special book lover on your list. A hot beverage and a good book go hand in hand, especially during the winter. 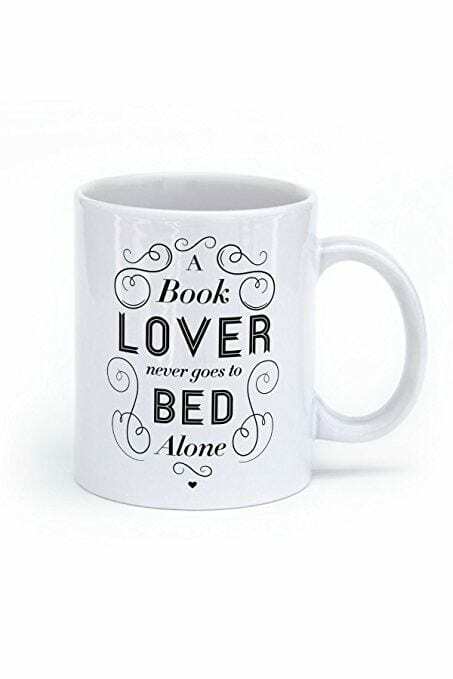 There are so many great mugs out there for book lovers. From the one pictured above to ‘I’m Not a Book Work, I’m a Book Dragon‘ and tons more here. Fill the mug with specialty teas or coffees and a cute spoon for a fun gift idea. 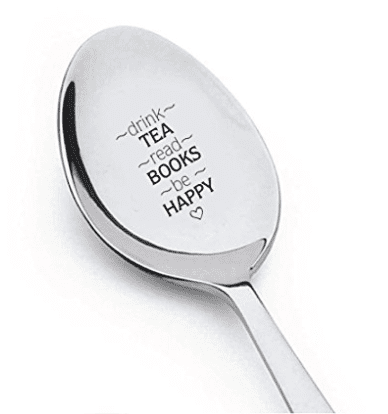 Speaking of adding a cute spoon to the mug you’re gifting, here’s one! If your book lover is also a tea lover, this is the perfect gift combo. 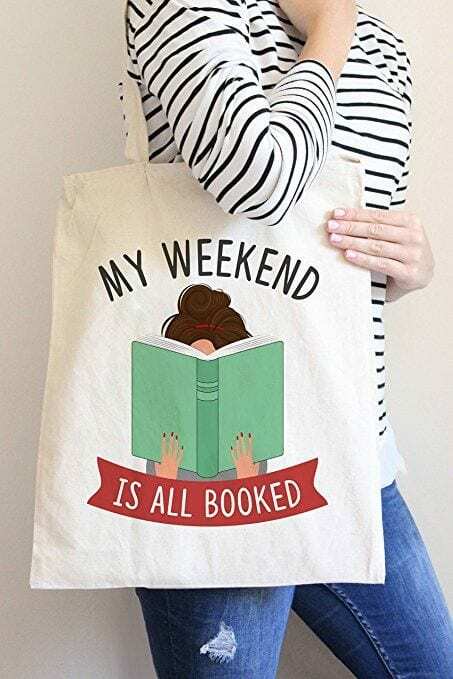 For the busy bookworm whose weekend is all ‘booked’, this tote says it all. There are also t-shirts with the same saying. Have you ever been to a movie that was based off a book with a book lover? This is what they’ll say. Every.time. 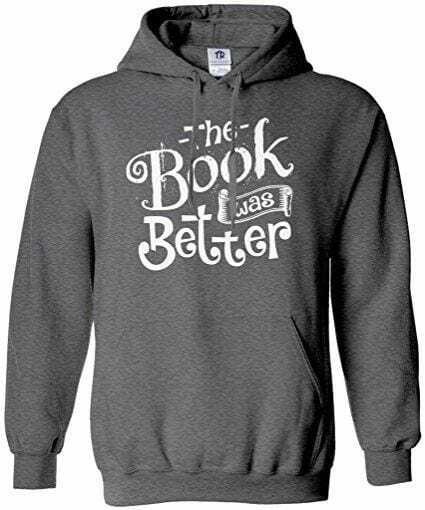 This ‘The Book Was Better’ hoodie allows them to express their opinion, without having to even say it out loud. 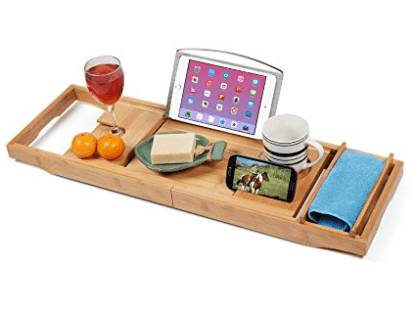 Whether they read a book electronically or the real deal (aka paper), this Bamboo Bathtub Caddy will keep their precious reads dry. Both my boys say if that their Kindle Paperwhite E-reader is the next best thing to a real book. 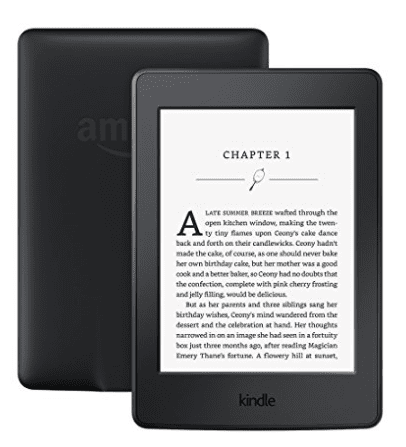 It’s available in black or white, features an adjustable light for day or night reading and has no screen glare like most tablets. Book lovers are all too familiar with late night reading and ‘just one more chapter’ before lights out. 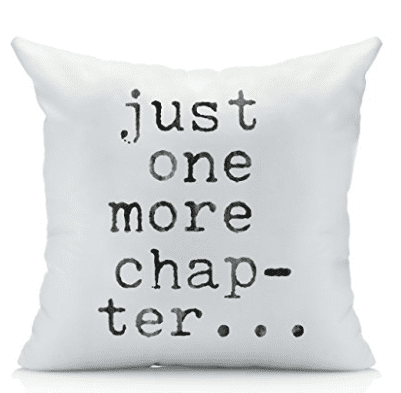 This throw pillow cover would make a cute addition to their room or library. Just know this is only a cover for the pillow and you’ll need to buy the pillow insert if you want to give them more than just the cover. Nothing beats cuddling up under a blanket with a good book when the weather is cold and miserable outside. 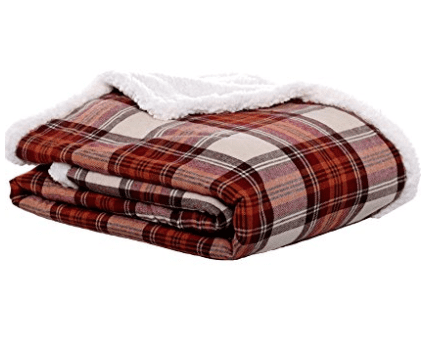 Give them a super soft throw like this plaid sherpa one for many nights of long reading sessions. 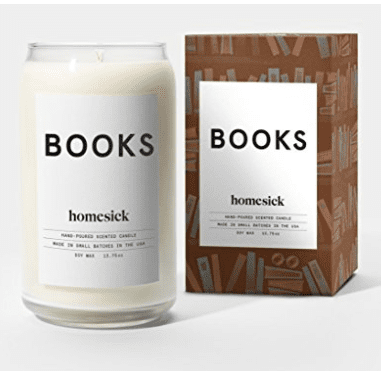 What does a Books candle smell like you ask? Most book lovers find joy in lending out books, but also find sadness when they don’t get them back. Not knowing where your beloved book is is cruel torture. 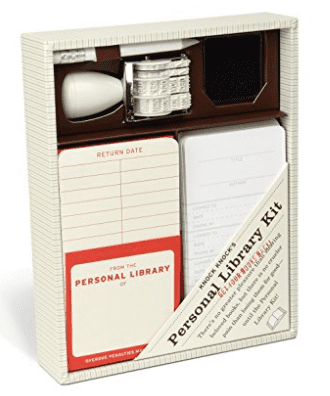 That’s where the Personal Library Kit comes into play. They can keep track of who has what book! A very cute and meaningful gift for the book enthusiast. The bracelet includes a ‘my happy place’ charm, a book charm and a coffee mug charm. Give the gift of art and home decor to your book lover! 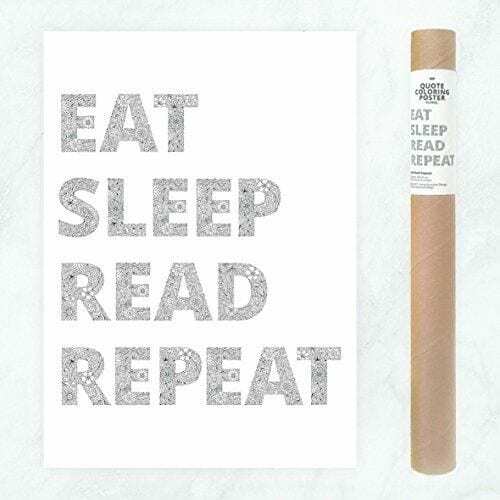 This Eat Sleep Read Repeat Poster doesn’t require any advanced art skills – just a pack of colored pencils. 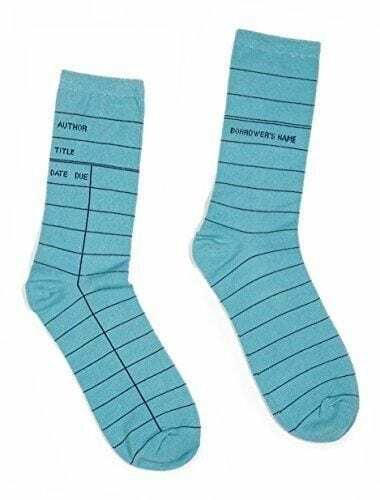 These Library Card Socks aren’t just a fun gift idea, but one that gives back too! For each pair of socks sold, one book is donated to a community in need. Be sure to put a little note in your gift letting your book lover know what this gift means. They’ll love it! We all know book lovers read past their bedtime. This bookmark says it all. This may be the cutest gift guide I’ve ever run across! Oh my gosh, I love every single one of these! I know a few people who would love them for Christmas too!